B. P. College of Business Administration (BPCBA) was established in the year 1999 to provide quality education for careers in Management. BPCBA offers three-year undergraduate programme i.e., Bachelor of Business Administration (BBA) spread over six semesters, which is affiliated to Kadi Sarva Vishwavidyalaya, Gandhinagar. It offers excellent learning facilities to enable its graduates to meet the challenges of the current competitive world. Over the last more than a decade, the college has proved its worth in grooming its students by providing them quality education along with practical industry exposure and career oriented training and other inputs. By this way of making students the best to tackle the competitive environment, we endeavor ourselves as one of the best BBA college in Gujarat for quality education. Candidates must have passed their Higher Secondary or equivalent examination (10+2) from General or Science Stream at first attempt. For general category candidates the eligibility for application is 45% and that for reserved categories i.e. SC, ST, OBC, etc. 40% in the above mentioned examinations. Candidates of Gujarat Higher Secondary Board (GHSB), CBSE, ICSE and other state boards can apply for admissions. 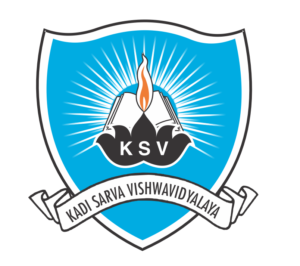 However the candidates of other than Gujarat Board have to produce a provisional eligibility certificate to be obtained from Kadi Sarva Vishwavidyalaya, Gandhinagar, within the time period specified at the time of application. Candidates applying for admission to 1st Semester of BBA, must have studied English as a compulsory subject at the qualifying examination as mentioned earlier. The course fee is decided as per Kadi Sarva Vishwavidyalaya norms and guidelines. The college has a team of well qualified and highly experienced faculty members intensely desirous of moulding the life and career of the young students. The young and enthusiastic faculty team at the college ensures quality delivery of educational inputs and makes sure that all the students are given ample attention, industry exposure and career guidance. The library is fully automated in terms of circulation (issue – return) of books and speedy access to bibliographic books, journals and periodicals. It carries 11022 management titles, 31055 books and 70 journals and magazines which gets updated every week. Reading facilities, reference, circulation, video viewing, computerised information search, book reservation, reprography facilities are some of the highly appreciated features of this library. The library is fully automated in terms of circulation (issue – return) of books and speedy access to bibliographic books, journals and periodicals. 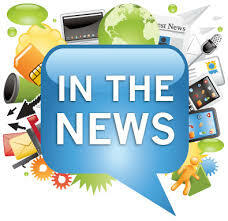 It carries 5016 management titles and 9880 volumes which gets updated every week. Reading facilities, reference, circulation, video viewing, computerised information search, book reservation, reprography facilities are some of the highly appreciated features of this library. Following is just to give a bird-eye-view of the infrastructure facilities at the college. Well equipped, airy and specious classrooms congenial for study and co curricular activities. Ample Parking Facility around college boundary. Neat and clean specious Canteen with a large variety of hygienic food items and professional caterers. Indoor and outdoor sports equipments.